Admire the dolphins and scenery on our 40-foot pontoon boat on the way to our kayak launch point. 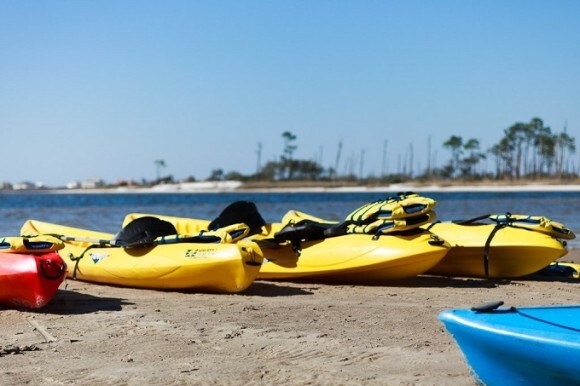 Once our kayaks are offloaded we will begin our journey to find all the creatures that make coastal Alabama their home. Our main goal is to find dolphins feeding and playing in their natural habitat while enjoying their beauty and playfulness. All of our trips take place in a safe, shallow water environment that is fun for all ages and experience levels. We also have kayaks available to rent.